Four-level integrated skills course desighned for students preparing for academic study as well as for standardies tests such as TOEFL iBT. A systematic, step-by-step approach helps students develop and sharpen their language, academic and test-taking abilities. 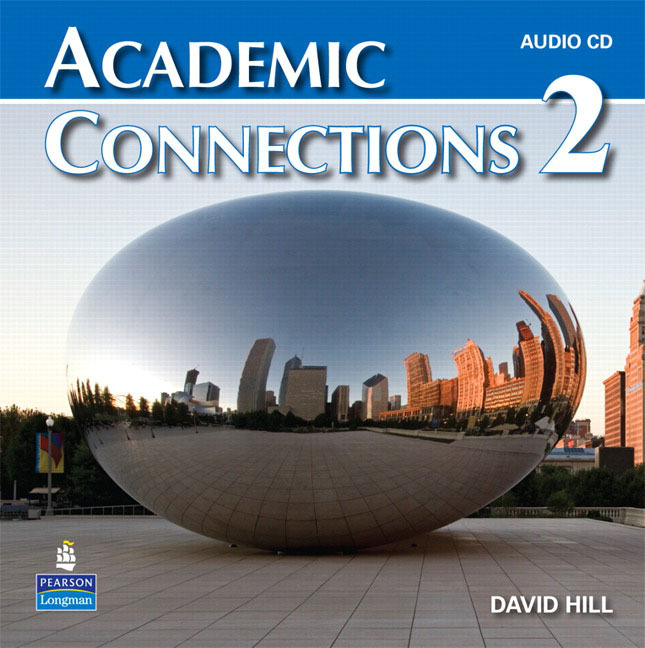 The Academic Connections Classroom Audio CDs contain the audio of all listening exercises in the Student Book. Academic Connections is a four-level integrated skills course designed for students preparing for academic study as well as for standardized tests such as the TOEFL(r)test. A systematic, step-by-step approach helps students develop and sharpen their language, academic, and test-taking abilities. Academic Connections was developed with the Educational Testing Service (ETS) and is based on extensive research into the actual language demands of higher education.